2 Owners and 0 Accidents per Auto Check!! Low Low Miles!! Clean inside and out!! Large discounts for payment in full.... Cash sales... not in house financing. 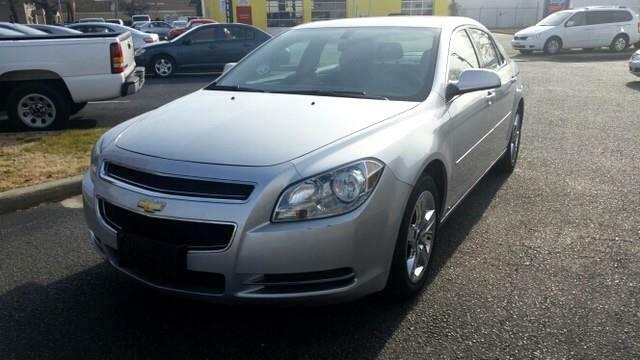 All in One Auto is pleased to be currently offering this 2009 Chevrolet Malibu LT w/1LT with 42,609 miles. Outstanding fuel economy and sleek styling are two great reasons to consider this Chevrolet Malibu. This low mileage Chevrolet Malibu has barely been touched. It's the next best thing to buying new. Beautiful exterior. Clean interior. This Chevrolet Malibu is so immaculate it is practically new. There are options that you need, And there are options that you want. This Chevrolet Malibu has them all. Stand out from the crowd as a 2009 Chevrolet Malibu LT w/1LT is a rare find and just may attract paparazzi. More information about the 2009 Chevrolet Malibu: Chevrolet's 2009 Malibu has established itself as stylish, comfortable, safe, and reliable transportation for a family that's concerned about low initial cost and low running costs. With plenty of standard convenience and safety features, crisp handling, and an array of powertrain options from fuel-sipping to pedal-mashing, the Malibu puts plenty of excitement into the Chevrolet lineup. This model sets itself apart with affordable hybrid model, fuel efficiency in the 4-cylinder and hybrid., comfortable ride, Stylish design, and good power from V6. This is one of our well maintained rentals. Please call to verify it is on the lot and not out on rental.